As semesters come and go, new exams are created and used items are retired, never to be used again. While moving on to new exam items due to poor performing statistics or to ensure exam security are sound practices, these retired items can still positively impact student learning. Retired summative assessment items can serve new purposes as formative assessment items that engage students with course content while preparing them for course exams. 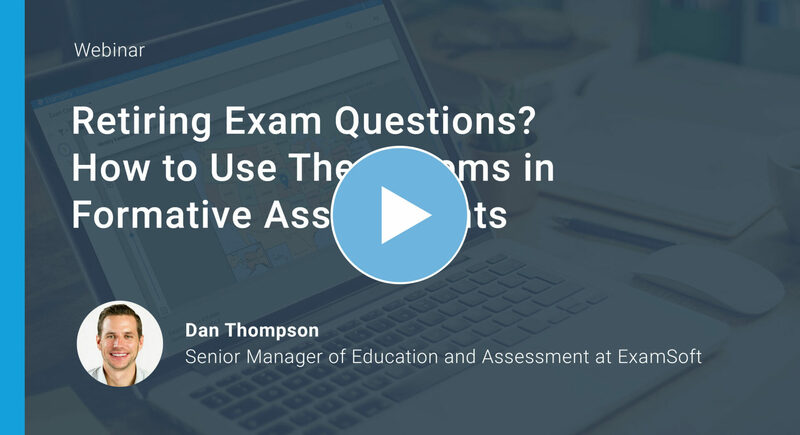 This presentation addresses the process of using retired exam items in creative ways to develop formative assessments to increase student self-awareness of their content knowledge and improve student retention. Use of formative assessment can improve student outcomes, student self-awareness, and faculty awareness of student knowledge. Item analytics can help identify which retired items are best to use in formative assessments. Methods of formative assessment can be done inside or outside the classroom to engage students with course content, reinforce concepts, or transition to new material.